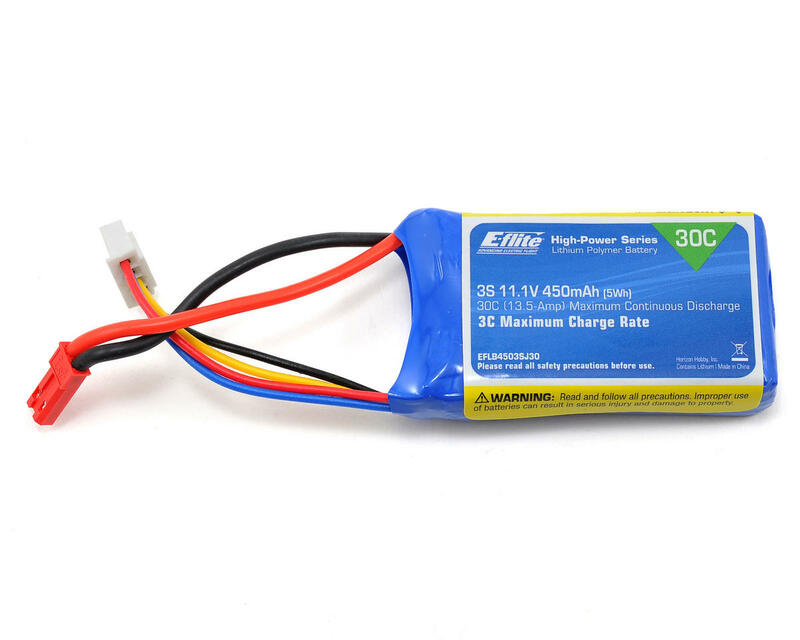 This is an E-flite 3S, 30C, 450mAh Li-Poly Battery Pack, with a JST connector. 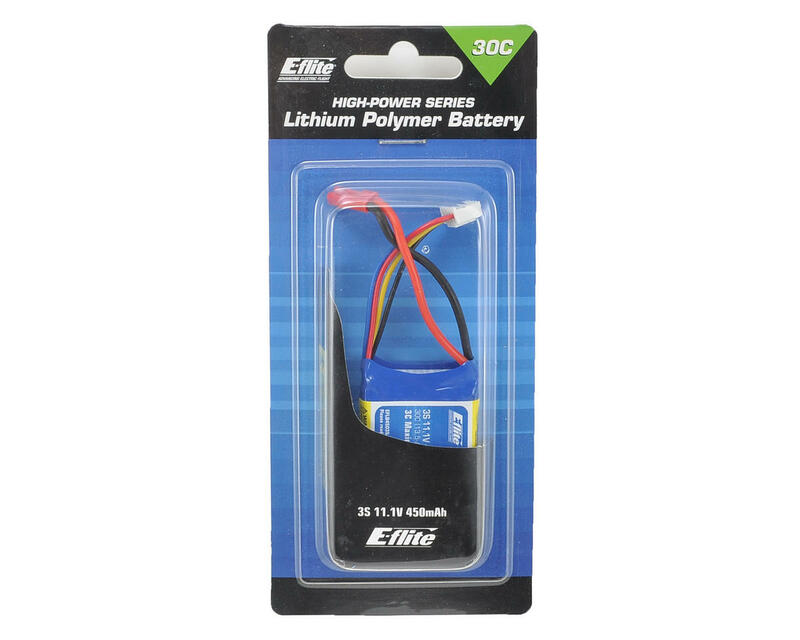 E-flite High-Power Series Lithium Polymer Batteries offer an excellent blend of weight, power and performance. Available in a wide variety of capacities and voltages, there’s a battery perfect for almost any application, from indoor slow flyer to large-scale sport and aerobatic airplane models as well as micro to mid-sized helicopter models. Perfect battery for small indoor 3D, aerobatic, sport, or scale airplanes using Park 300 and Park 370 motors on 3S applications. Before handling and first use, visually and physically inspect the battery pack, wire leads, and connectors to ensure there are no loose connections which may cause short circuit and eventual fire. By handling, charging or using this Li-Po battery you assume all risks associated with Li-Po batteries.